CHENNAI: The National Highways Authority of India (NHAI) has begun collection of toll tax on the Ennore-Manali Road from Friday. 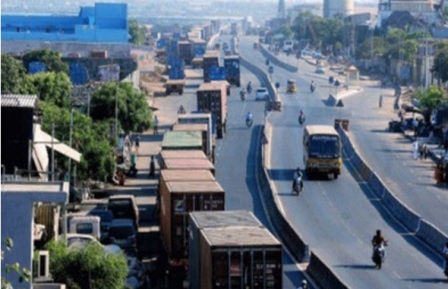 A notification issued on Wednesday in connection with this states that the road connecting Chennai and Ennore ports in north Chennai was improved by NHAI by spending Rs 600 crore and it is responsible for long-term maintenance. Besides, existing toll at Mathur on the Inner Ring Road also needs to be developed. So, a toll of Rs 35 will be collected for a single journey from a car, van or jeep. Light commercial vehicles and buses will pay Rs 55 and Rs 115 per trip and multi-axle vehicles will pay a toll of Rs 180 to 220, the order read.